Description: Emerging building company Project Group required the conversion of an industrial warehouse into a sleek, modern & functional office environment. Designed by architect Rob Kennon. 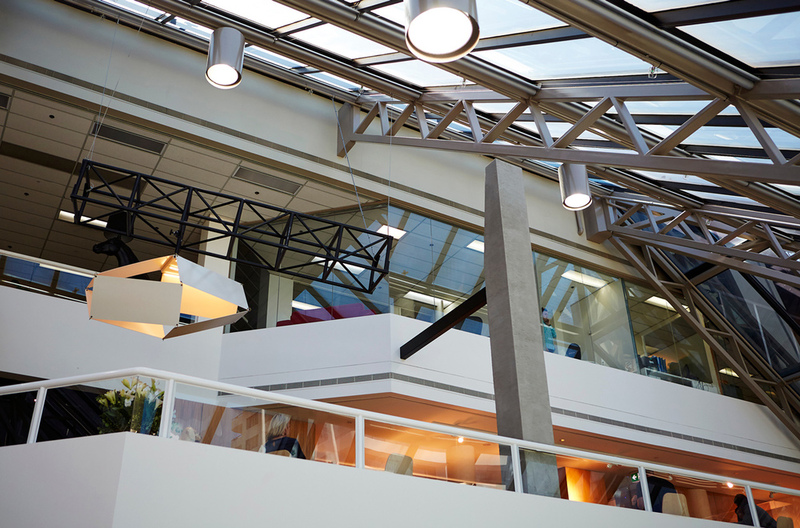 What we did: Working with architect & builder, we created steel office partitions, steel entry reveal & door, office shelves, stainless steel bench tops & kitchen steel reveals. Delivered & installed on site. Description: Australia’s first hip hop yoga studio Yoga 213 required custom lighting for their new Richmond studio. Studio concept designed by Wildhen Design. What we did: Working with Wildhen Design we created custom lighting to create the finishing touches to their latest studio. Delivered & installed on site. Description: Australian fashion brand Alice McCall required a decorative steel fit out for their flagship store in Chadstone Shopping Centre. What we did: Working with Fido Projects from architect drawn plans, we created decorative laser cut lattice panelling, clothing racks, change room curtain rails & hooks & Alice McCall logo sign. Custom made door handles were specially designed too. 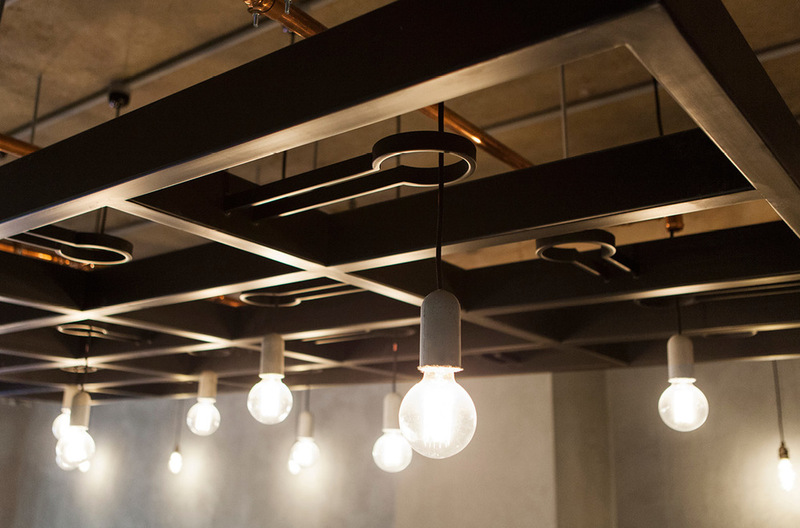 Description: Global leisure brand Lululemon Athletica required a decorative steel fit out for their Melbourne flagship store. Store concept designed by Wildhen Design. What we did: Working with Wildhen Design we created decorative, display screens used in the front window displays. Directional signage pole, showing all Yoga studios within 10kms. Draw shelves used to display product and drinking water fountain, with vertical garden feature for customers to enjoy. The overall concept of the store was to create an experience for yoga enthusiasts. Delivered & installed on site. Description: International advertising agency Clemenger BBDO required a steel, architectural feature, in their modern, Melbourne office. What we did: Working with Project Group we created a large scale, architectural pillar. Made from mild steel, with a tactile, rendered finish. Delivered & installed on site. Description: We've been lucky enough to work on the popular Fonda restaurant franchise, this time in Hawthorn. Creating an architectural, angle iron trim detail, highlighting the besser blocks for the well used bar & kitchen areas, complimented by the flat plate reveals. What we did: Built and fabricated the trim detail and hand rail on site, from architectural drawings. Finished in natural raw steel. Description: A large light feature suspended from Chow City's restaurant ceiling. Made of mild steel with hand forged circle details, for the lighting to drop through. What we did: Built from architectural drawings & painted matte black. Delivered & installed on site. Description: Mild steel door frame, window glazing frame and custom interior door handles. 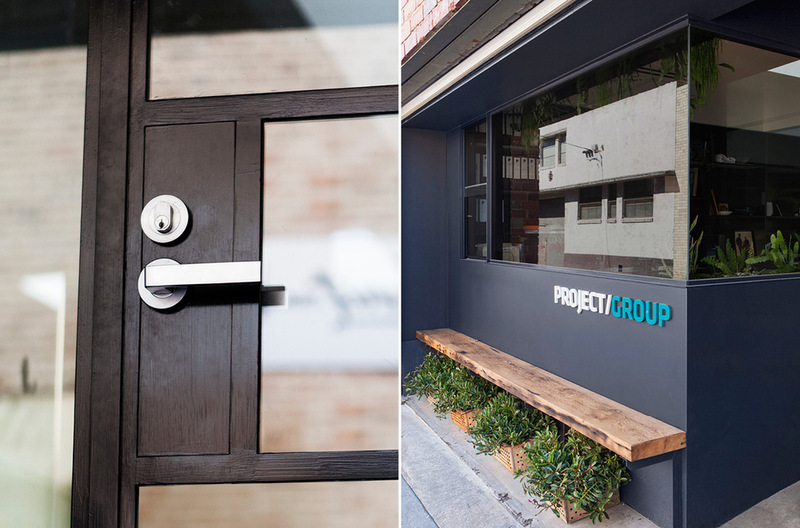 What we did: Collaborating with the Project Group we designed an engaging front entrance and modern interior door handles for the board room and directors offices. All delivered & installed on site.